Carla Figuera, Director MA Cultural Policy, Relations and Diplomacy, Goldsmiths. 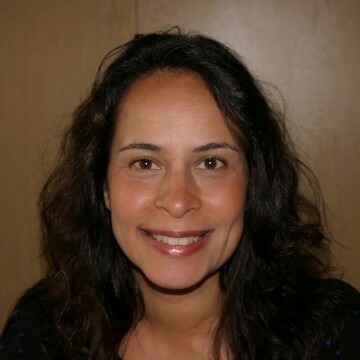 Dr. Carla Figueira, is an academic in the field of international cultural relations and cultural policy. She is currently the Director of the MA in Cultural Policy, Relations and Diplomacy and of the MA in Cultural Policy and Tourism at the Institute for Creative and Cultural Entrepreneurship, Goldsmiths, University of London. An international relations graduate of the Instituto Superior de Ciências Sociais e Políticas, Universidade Técnica de Lisboa (Portugal), she moved to London after a career in arts management. In the UK, she went on to gain an MA in Arts Management (City University, UK, Chevening Scholar) and a PhD in Cultural Policy and Management (City University, UK, Praxis XXI Scholar) supervised by Professor Naz Rassool (University of Reading, UK). Her PhD thesis Languages at War in Lusophone Africa: External Language Spread Policies in Mozambique and Guinea-Bissau at the turn of the 21st Century examines the development of international language policies and cultural diplomacy in Africa by the UK, France, Germany, Brazil and Portugal. Her work was published in May 2013 by Peter Lang Publishing with a foreword by Professor Robert Phillipson (renowned author of Linguistic Imperialism and her PhD external examiner). Carla is a member of the international groups of ENCATC, the leading European network on cultural policy and management, and of its American counterpart, the Association of Arts Administration Educators (AAAE). She is also a member of various networks interested in cultural diplomacy, and manages the JISCmail open listing: International Cultural Relations Multidisciplinary Forum (www.jiscmail.ac.uk/cultural-relations-diplomacy).